Professor Friel is Director and Professor of Health Equity of RegNet School of Regulation and Global Governance at the ANU. 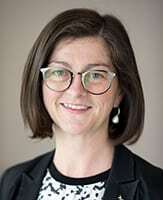 She is also Director of the Menzies Centre for Health Policy at the Australian National University and is Co-Director of the NHMRC Centre of Research Excellence on Health Equity. Between 2005 and 2008, she was the Head of the Scientific Secretariat (University College London) for the World Health Organization’s Commission on Social Determinants of Health. She is known for her research into the role of policy, governance and structural factors – such as trade and investment, urbanisation, food systems and climate change – in health inequities.